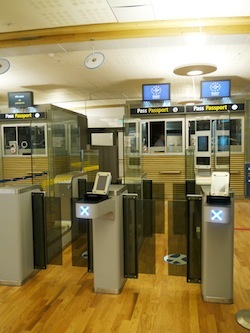 Oslo Airport has implemented EasyPass, a self-service passport control available to travelers who have Norwegian biometric passports arriving from Non-Schengen countries. 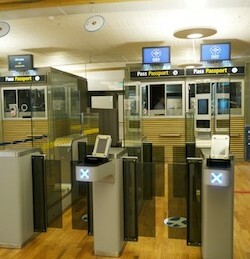 The airport collaborated with the National Police Directorate on the system, which comprises two automated units at the Non-Schengen arrival gate. The automated units have a two-step process. A traveler scans his passport at the entrance of the unit. When validated, a turnstile opens. The traveler passes through it to a second section where a photograph is taken and compared with the holder’s passport photo. If this matches, a second turnstile opens, and the traveler is free to leave the border control area. 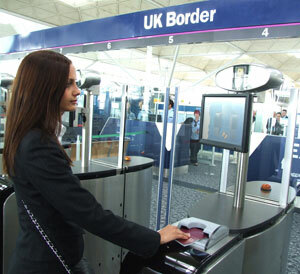 The system is monitored by a border guard, who can manually override the system when necessary. The system does not store any personal data. The National Police Directorate hopes to be able to expand the service to travelers from the EU, EEA countries and Switzerland. The airport installed the system on December 17, and it will be fully operational on January 7.